The redesigned PCMH program is effective September 30th, 2017 and practices that plan to get recognition using the 2014 standards must do so before then. Most notably, “once the practice has been recognized as a medical home, it will never have to renew its application from start to finish,” explained Michael Barr, MD—executive vice president of the organization’s quality measurement and research group—in a recent Medical Economics article detailing the changes. 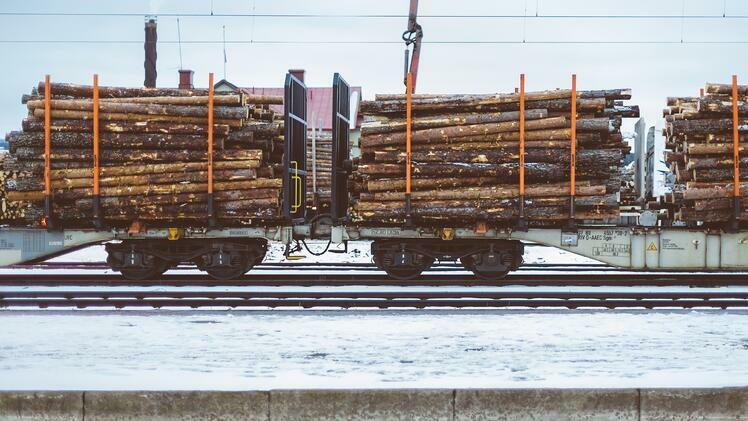 In addition to the ongoing recognition status, reporting is moving from a three-year cycle to an annual online “check-in” with a dedicated NCQA point of contact. Fortunately, screenshots and egregious written documentation is reduced in the new redesign. Online interaction, facilitated through a screen-sharing session, and data submission is now the method that practices employ to prove they are meeting core requirements. The origin of practice transformation for many medical homes revolves around highly collaborative provider relationships for improved patient care. According to a Hartford Foundation Study, 83% of patients said that being treated in a PCMH improved their health1. In addition to improved health, patients are more satisfied with urgent appointment scheduling. In a study published in Becker’s Hospital review, patient satisfaction increased from 12 percent to 53 percent in a PCMH practice, while in the control clinics the scores improved from 14 percent to 18 percent2. Redesigned PCMH guidelines are preparing practices for prospective models of payment that incentivize patient-centered care. According to the NCQA Toolkit, available for download on their website, “becoming an NCQA-Recognized PCMH or PCSP directly increases clinician payments through the Merit-Based Incentive Payment System (MIPS).” Improvement Activities account for 20% of a practice’s MIPS score (15% in 2018) under MACRA and as a NCQA-Recognized PCMH or PCSP that practice will receive automatic full credit in the category. 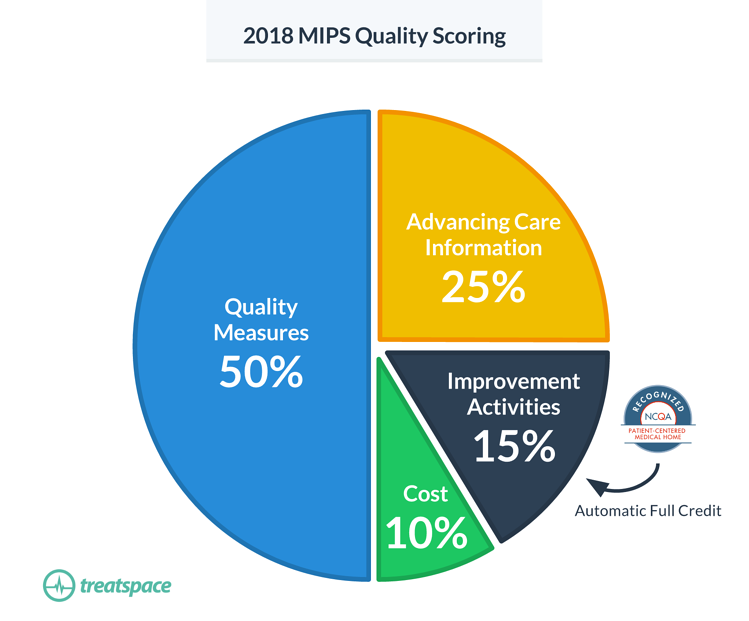 The other 3 categories contributing to MIPS; Quality Measures, Advancing Care Information, and Cost (2018), will likely be met by PCMH practices. Measures set forth in the recognition program that improve coordination of care, promote the use of health information technology (HIT), and improve patient outcomes overlap with MIPS requirements. Practices must receive 25 points within five of the six above groups in order to qualify as a PCMH. Utilizing dashboards from previous PCMH applications, we’ve identified several competencies of the new PCMH model that Treatspace continues to support. Giving the consultant or specialist the clinical question, the required timing and the type of referral. Giving the consultant or specialist pertinent demographic and clinical data, including test results and the current care plan. Tracking referrals until the consultant or specialist’s report is available, flagging and following up on overdue reports. Preferred specialists only receive patient referrals that are covered with the insurance they accept. Providers can choose to attach last office visit notes (OVNs), clinical data, and demographic information. In addition, they can customize they test results they want to send along with the referral. Care coordinators can track patients, identify gaps in care, and manage the status of referrals from a centralized dashboard. CC 06 (1 Credit): Identifies the specialists/specialty types frequently used by the practice. Practice leadership utilizes referral performance analytics to gain a comprehensive view of their practice’s referral patterns. Segmenting data by provider and practice level allows primary care to view which specialties and individual specialists they refer to most often. CC 07 (2 Credits): Considers available performance information on consultants/specialists when making referrals. 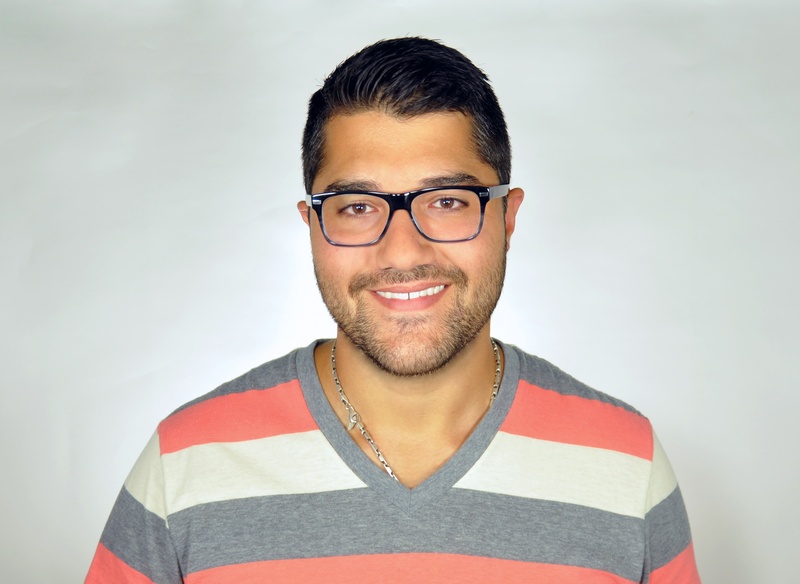 Treatspace provides primary care with report card views of each specialist within their network so they can monitor consult report compliance, time to treatment, and time to acceptance. Specialist performance metrics are taken into consideration during referral decision support process and allow practice executives to make narrowed network decisions in line with payor contracts and value-based programs. CC 11 (1 Credit): Monitors the timeliness and quality of the referral response. Referral analytics track referral volume, average time to accept a referral, and average time to see a patient. CC 12 (1 Credit): Documents co-management arrangements in the patient’s medical record. 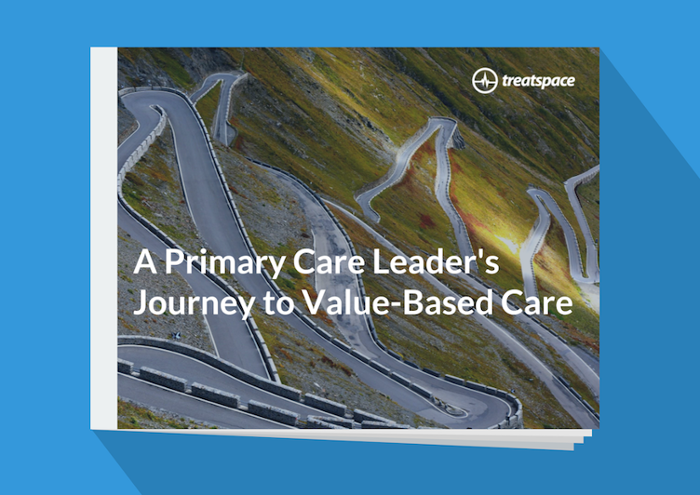 Treatspace enables your practice to work with preferred partners to develop care compacts that are measured and tracked within the platform. 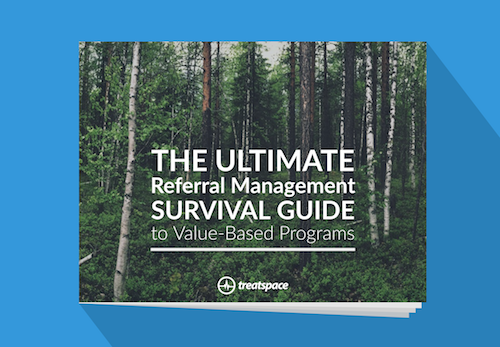 All referrals pass seamlessly from a practice’s EHR to their preferred specialist partner through Treatspace. Transition of Care (TOC) documents have the ability to auto-attach to referrals to improve workflow and save time. The Direct addresses of all specialists are no longer required and each transaction is easily accessible in a cloud-based log. In conclusion, Patient Centered Medical Homes continue to improve patient care by transforming how primary care is organized and delivered. Newly implemented guidelines make reporting and documentation easier on practices so they can focus on providing the highest quality of care to their patient population. What are some of the changes that your practice is most excited about? Share in the comments below.